For many people, living a vegan lifestyle means more than eating a diet devoid of animal products. It also means extending that same philosophy to their clothing choices and beauty products. If that's you, then kudos, because sifting through the millions of brands and products to find 100% vegan-friendly formulations can take a lot of time, patience, and determination. Luckily, though, it's getting a little bit easier every day as brands commit to producing more vegan-friendly products and being transparent about the ingredients and practices they use. (As far as makeup goes, brands like Kat Von D and Milk Makeup are making a name for themselves based on their 100% vegan-friendly product offerings.) It's 2018, after all, and ethical beauty is having something of a renaissance. That vegan beauty renaissance extends to skincare and, more particularly, sunscreen. While it seems that we see new and innovative sun protection products hit the market almost every day, there are a select few that customers love best. Here they are—the 13 vegan sunscreens backed by glowing customer reviews, brand ratings, and best-selling status. Coola is an amazing brand to look to for vegan sunscreen formulations. These so-called "sun drops" offer full-spectrum protection from UVA, UVB, IR, and HEV light, meaning they protect your skin from the sun and from the harsh electronic light of your phone and computer screen. You can wear this sunscreen alone by simply applying a few drops to your face and neck, or you can wear it blended with other skincare and makeup products. Pacifica is a personal favorite. It happens to be one of the only vegan and cruelty-free brands widely available at drugstores. 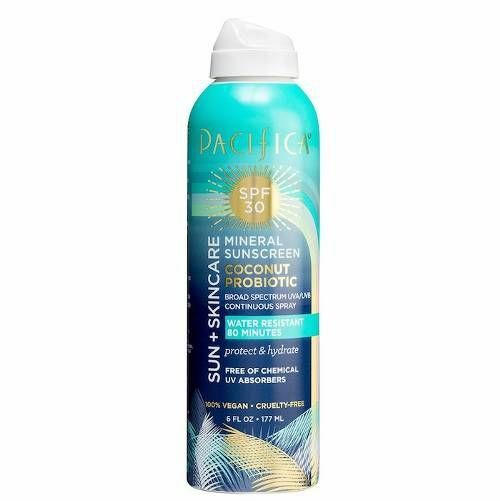 The brand recently released this spray sunscreen with probiotics (which, if you didn't know, are seriously beneficial for the skin). It's hydrating, protecting, and water-resistant up to 80 minutes after application. 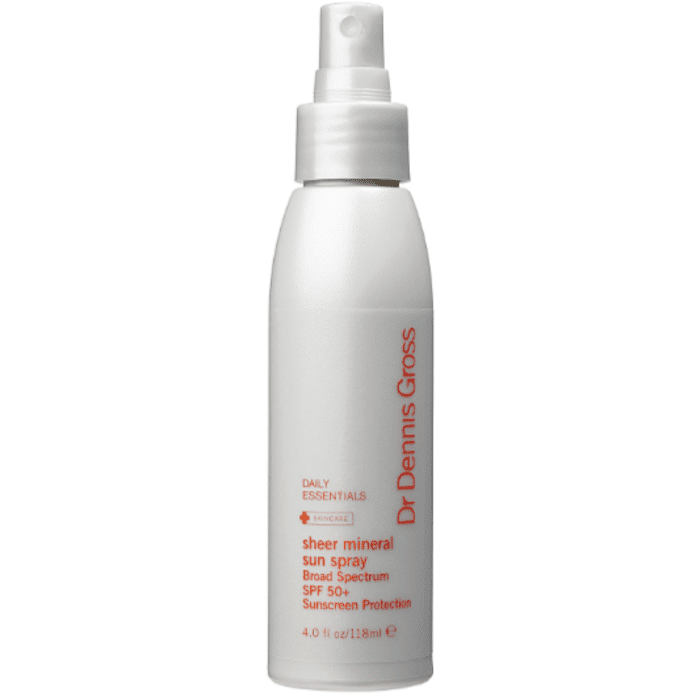 Here's another vegan spray (which we know some people prefer as opposed to cream formulas since it offers a quicker, more convenient application). 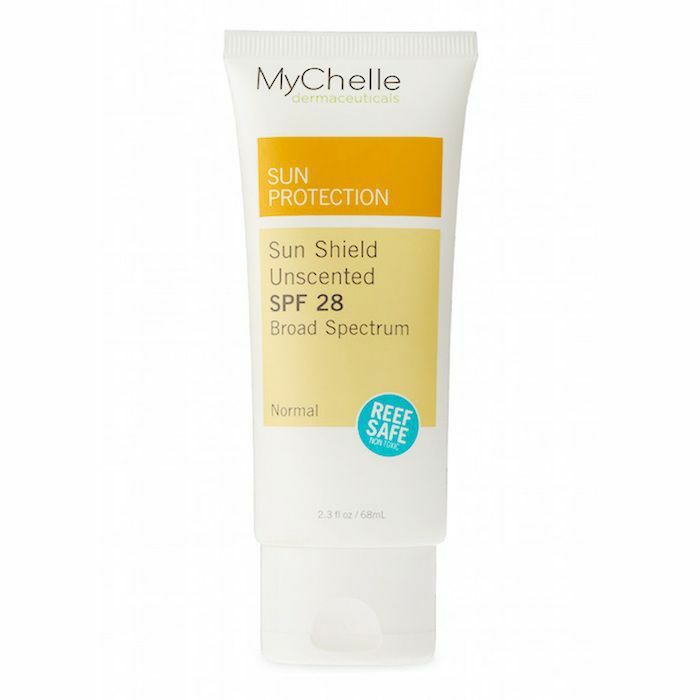 It's lightweight, sheer, and provides SPF 50 protection. Customers can't get enough of it. 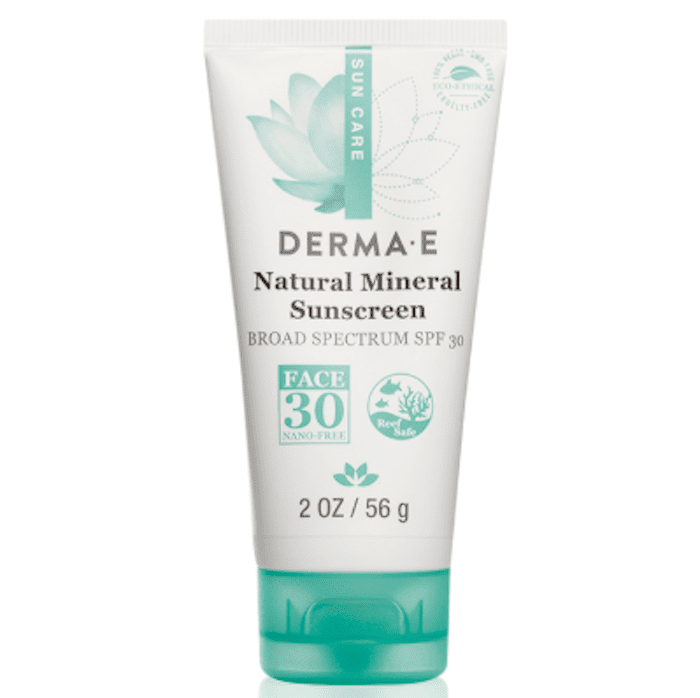 One reviewer writes, "This is one of the best sunscreens I've ever used. After shaking it very well, I spray it twice into my hand, disperse it between my hands and rub that into my face and neck. This product has no scent that I notice. It goes on rather slippy but it dries down to an almost powder finish in a few minutes. I used this for a week in San Diego—and I'm VERY prone to burning—and I didn't even get pink! Will continue to buy! And I love that the brand is cruelty-free!" This vegan and cruelty-free sunscreen is chock-full of antioxidant-rich vitamin C and green tea to fight off free radicals and protect from early signs of aging, all the while protecting your skin from damaging sun rays. One reviewer lauds the formula for keeping her complexion blemish-free. "It really is a dream come true and if you don't already use it, and you have acne, you need to give this one a whirl. I have tried a lot of brands and before this I was using a dermatologists brand which I loved, but was advised by an acne expert that silicones might be a trigger for me. Most Sun Bum products smell like summer, meaning they have a tropical banana or coconut fragrance (which we typically love). For people with sensitive skin types, though, fragrance-free formulations might be better for avoiding skin irritation. Or maybe you just prefer fragrance-free sunscreens for daily wear. In that case, reach for this vegan SPF 50 sunscreen. It also happens to be phthalate-, paraben-, and gluten-free. 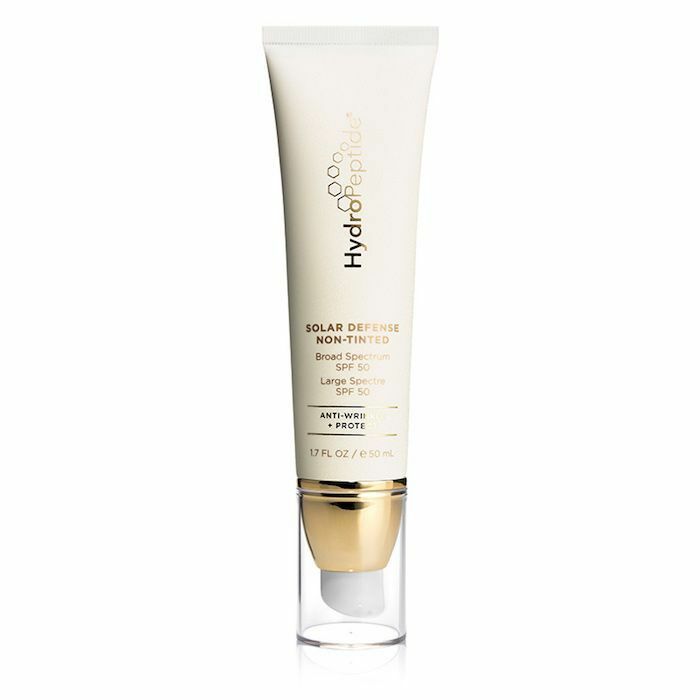 HydroPeptide's vegan sunscreen is one of Dermstore's best-selling formulas. It's specially formulated to prevent fine lines and wrinkles. It's also unique in that it dries down to a sheer matte finish, making it a good choice for people who struggle with oily skin (like me)—because there's nothing worse than applying sunscreen to oily skin and making it look even greasier. 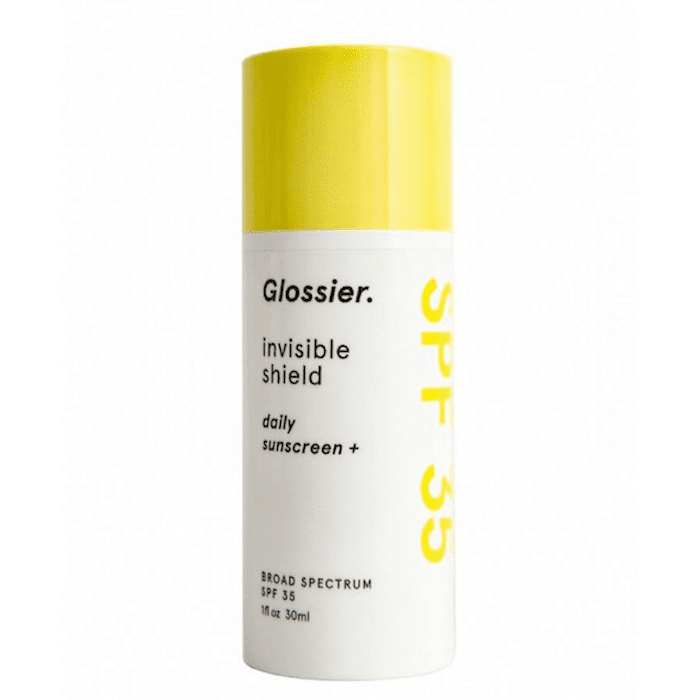 This buzzy sunscreen from gen Z–beloved brand, Glossier, is totally vegan, which many people aren't aware of. It's marketed as "sunscreen for people who hate wearing sunscreen" since it's completely sheer (you won't see any hint of a white cast here). The lightweight formula is noncomedogenic, breathable, and great for layering. Although Tarte isn't 100% vegan yet, an overwhelming amount of the brand's products are vegan-friendly. 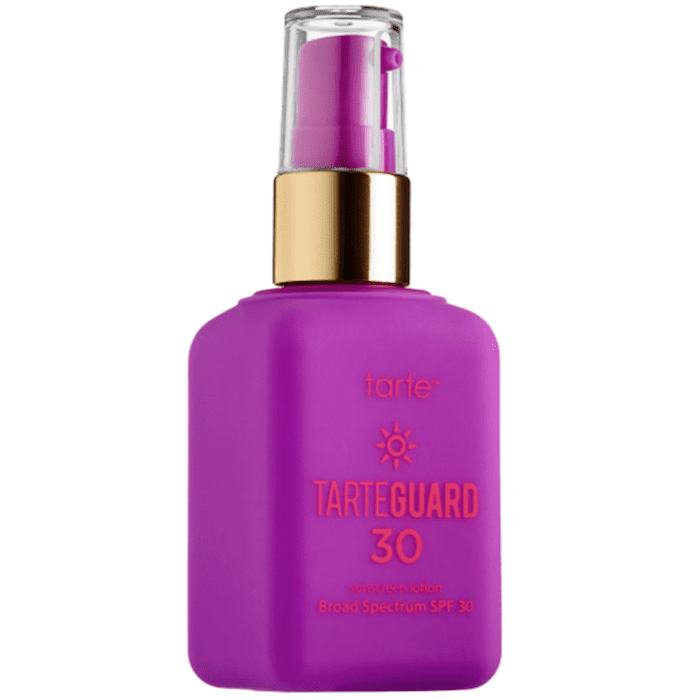 Like this sunscreen, for instance, which offers SPF 30 protection. It has 20,000 "loves" on Sephora's website along with glowing reviews like this: "I don't like to use regular sunblock for my face since it can be greasy, heavy and affect how my skin looks and feels as well as my makeup. This went on perfectly under everything. No greasy or heavy feeling and no weird scent. I purchased the smaller bottle to give it a try first and to throw it into my makeup bag easily for travel." 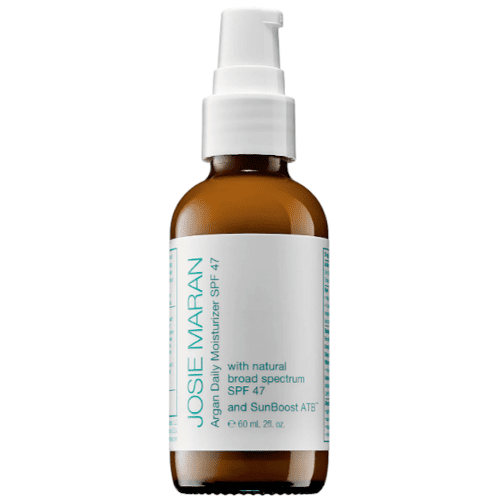 Josie Maran's new moisturizer-and-sunscreen hybrid is an updated version of her Argan Daily Moisturizer ($36). It's lightly tinted to enliven the look of the skin and provides nourishing and anti-aging benefits thanks to the brand's namesake argan oil in combination with antioxidant-rich green tea. Although it's currently sold-out on Sephora's website, check back regularly for its restock. It's inevitable, especially with reviews like this: "First of all, I absolutely love this product. Feels luxurious, smells like oatmeal, is soothing and melts into my skin, protects my skin well, and doesn't break me out. Second, the size is a blessing, and it's such an amazing deal, considering the 2 oz is $32. Third, I will always appreciate the sturdiness of the brown glass bottle, so light can't penetrate and spoil the Argan awesomeness, along with its pump. I pump it twice and get the perfect amount of product. Josie Maran is truly phenomenal, and her brand as a whole is as well. I'm so happy!!" 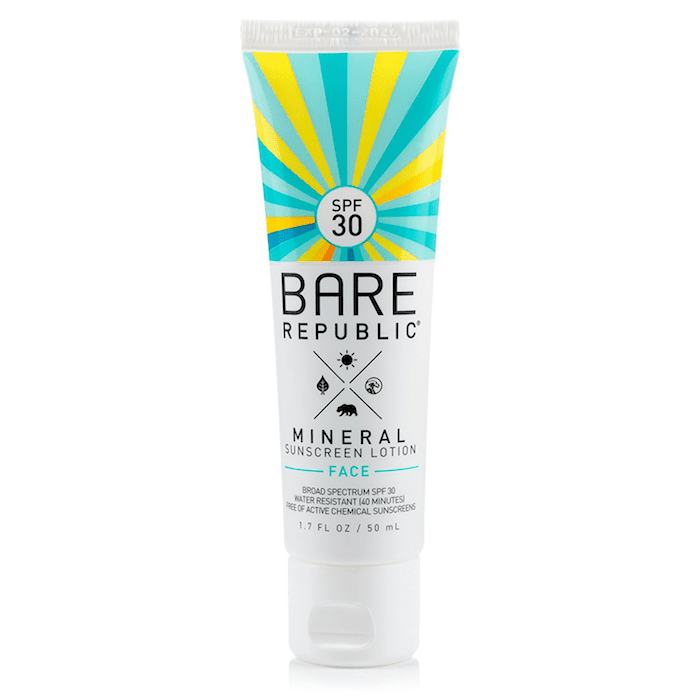 Bare Republic's SPF 30 sunscreen has kukui seed oil to moisturize, baobab extract to protect skin from free-radical damage, and algae extract to repair the skin. It's paraben-free, non-GMO, and vegan. And it's widely available at drugstores for less than $20 a bottle. It's almost too good to be true. 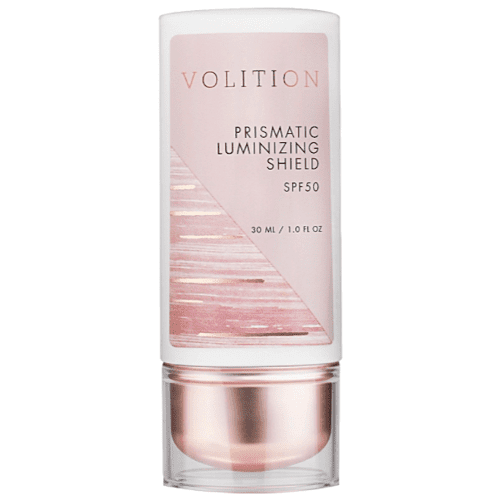 Volition's vegan sunscreen is all about providing radiance, which is nice considering that so many other sunscreens do the opposite by sitting atop the skin with a white cast. This one won't do that. It has a pearlescent finish that reflects light to make the skin look dewy and glowy. It's already sold out twice at Sephora and has developed a huge customer following. Take it from reviews like this one: "Can't even deal with how great this. I have dark, ebony skin (and proud of it). Tried so many products. I found it absorbs right in and leaves just a hint of shimmer. I did notice it works even better after I moisturize. I have bought one for the car and one for home. A little bummed it is not water proof but I wear it everyday so it is worth that one con." 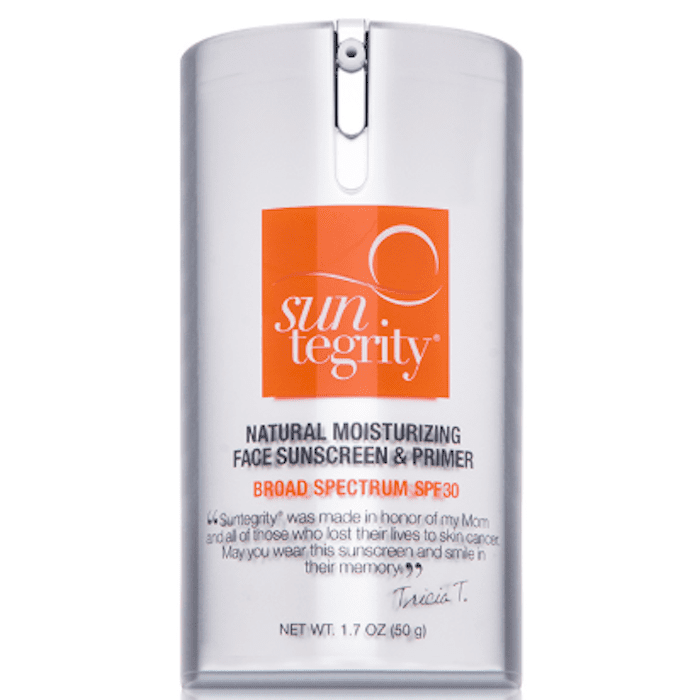 This Suntegrity sunscreen doubles as a primer, which makes it perfect for wearing daily underneath makeup. It's all thanks to ingredients like jojoba oil, aloe vera, hyaluronic acid, essential oils, and green tea, which hydrate the skin and keep it looking fresh all day long. This is perhaps a lesser-known brand, but one that's worth mentioning nonetheless since it's so effective and environmentally safe (and vegan). First off, it's gentle enough for infants to use and proves soothing for sensitive skin types. Plus, it dries down sheer and provides antioxidant protection. Customers can't get enough. 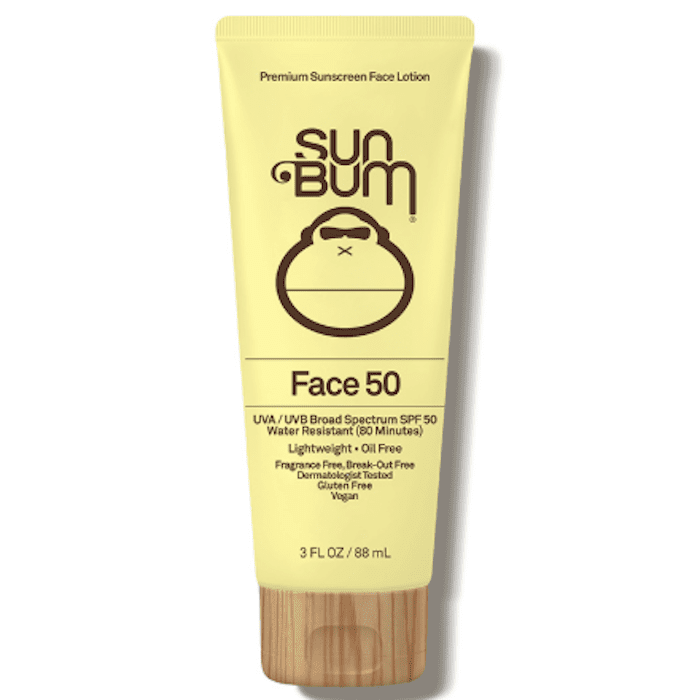 One reviewer writes, "Only physical sunscreen I've found that I actually look forward to wearing. Unlike most physical sunscreens on the market, it leaves ZERO white cast.